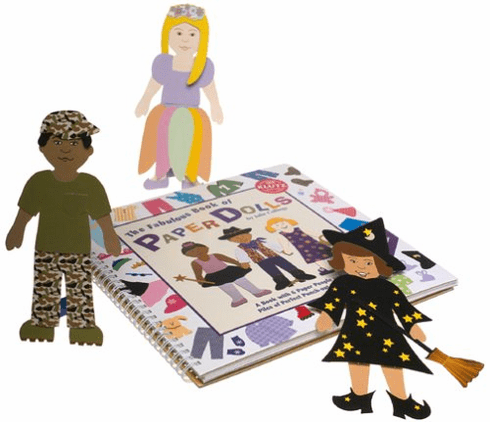 These paper people wear their clothes with the help of reusable, press-on, peel-off adhesive dots. The dolls, clothes, and accessories are perforated, ready to pop right out and play. Also includes 6 illustrated backdrops.